† The Triangle Rewards Program is owned and operated by Canadian Tire Corporation, Limited. 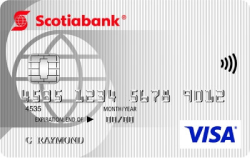 The Triangle World Elite Mastercard is issued by Canadian Tire Bank. Rewards are in the form of electronic Canadian Tire Money® (CT Money®). Not all items sold at Canadian Tire, SportChek and participating Mark’s/L’Equipeur, Atmosphere and other partner locations are eligible to earn CT Money or to be redeemed for. Certain Mark's/L'Equipeur and Atmosphere stores may not participate. Conditions apply. 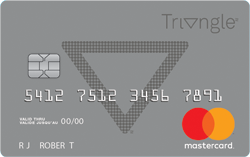 Visit triangle.com for full program rules and Partner location information including which locations do not participate. The offered rate is exclusive of any bonus or promotional offers or redemption transactions. CT Money is collected on the pre-tax amount of the purchase at Canadian Tire, Sport Chek, Atmosphere, Mark’s/L’Equipeur and PartSource. (1) CT Money is collected on the number of whole litres of fuel purchased when you show your Triangle card, mobile App or key fob and pay with cash or debit. Rate subject to change and could vary by location, see local gas bar for details. Not all Gas+ locations have premium fuel. Must go inside kiosk to collect rewards with App or key fob. 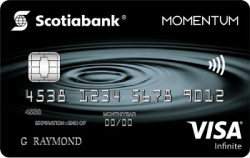 * Financing available is “Equal payments, no interest” for 12 months (unless otherwise stated) and is only available on request, on approved credit and on purchases of $200 or more (excluding gift cards) made with your Triangle credit card at Canadian Tire, Sport Chek and participating Marks and Atmosphere locations. Interest does not accrue during the period of the plan. 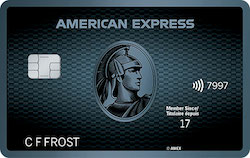 However, if we do not receive the full minimum due on a statement within 59 days of the date of that statement, or any event of default (other than a payment default) occurs under your Cardmember Agreement, all special payment plans on your account will terminate and (i) you will then be charged interest on the balances outstanding on such plans at the applicable regular annual rate from the day after the date of your next statement, and (ii) the balances outstanding will form part of the balance due on that statement. There is no administration fee charged for entering into a special payments plan. Each month during an equal payments plan you are required to pay in full by the due date that month’s equal payments plan instalment. Any unpaid portion not received by the due date will no longer form part of the equal payments plan and interest will accrue on that amount from the day after the date of your next statement at the applicable regular annual rate.